Eskom says large power users can now launch their growth plans with confidence, thanks to the utility's turnaround strategy delivering an operational surplus capacity. 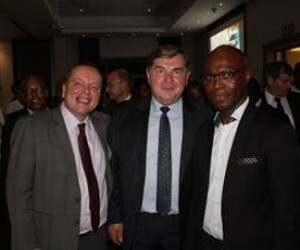 Speaking at the POWER-GEN & DistribuTECH Africa industry reception event in Johannesburg last week, Eskom interim group chief executive Matshela Koko said Eskom's turnaround had delivered an operational surplus energy capacity of 3600MW, which, along with its maintenance and build programme, would meet increases in demand until 2021. "Not long ago we were loadshedding, and now we have significant surplus capacity. We want to thank the associates and stakeholders who walked this journey with us through difficult times and are helping to make Eskom great again." Willie Majola, Acting Group Executive, Generation at Eskom, said: "We are saying to big business 'we are open for business. Let's power the growth of the South African economy'." Koko and Majola were addressing Southern African power and distribution sector industry bodies and leaders at the planning launch of the 2017 POWER-GEN & DistribuTECH Africa conference and exhibition programme. The event is a premier pan-African power sector summit, addressing issues identified by the industry. Nigel Blackaby, Director of Conferences at event organisers PennWell International Power Group, says some of the industry's finest minds have contributed to the programme for POWER-GEN & DistribuTECH Africa. "The industry advisory boards have held four separate meetings over two days in Johannesburg last week to identify the key issues to be focused on at the 2017 conference in July this year. Off the back of a very successful conference last year, important new trends to feature on the 2017 programme will be decentralised energy solutions, energy storage and the digitisation of power engineering, along with exploiting the power of big data to increase efficiency across the entire power grid. Our industry advisors have recommended that we also increase our focus on topical issues such as nuclear power. Therefore, we will be organising a one-day nuclear programme as part of the agenda, where pan-African governments, utilities and stakeholders will be able to get an understanding of South Africa's nuclear programme, learn about the available technologies and see how South Africa can mobilise the local industry to boost local employment and development." Eskom is the traditional host utility at POWER-GEN & DistribuTECH Africa. 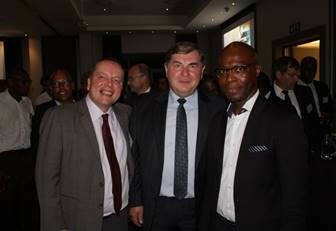 Majola noted: "These are exciting times for the power sector in South Africa. The debates around nuclear and renewables are important and are welcome, as they help raise public awareness of the issues under discussion. These issues will come under the spotlight at POWER-GEN & DistribuTECH Africa, where they will be discussed by international industry leaders and academics, making this a very important gathering". 2017 will see new opportunities for students and young power sector engineers, when an industry collaboration will bring Gen X under the spotlight at POWER-GEN & DistribuTECH Africa. Bertha Dlamini, Managing Director of EON Consulting, announced at the advisory board meeting that an innovation EON introduced to the event two years ago would now be extended in collaboration with other companies, with a view to supporting the development of Africa's young engineers. "EON Gen X was introduced at POWER-GEN & DistribuTECH Africa in 2015, to give our students and young engineers an opportunity to showcase their research and development work. This component of the event has grown in popularity and scope, and will henceforth be a multi-stakeholder initiative through which young engineers can present their papers and so gain experience and exposure. We invite African students to apply to present their papers at this event, and we invite power sector sponsors to join use in broadening the scope of the Gen X project," she said. Nigel Blackaby reports that the growth of the Gen X project reflects the overall growth in stature of the POWER-GEN & DistribuTECH Africa conference and exhibition in South Africa. The event attracts interest and participation from an ever-growing field of academics, stakeholders and businesses from across Africa and abroad. "POWER-GEN & DistribuTECH Africa is an event designed by the power industry for the power industry, and it is unique in that it is addresses Africa-specific challenges, while also presenting leading international expertise and technologies as seen at POWER-GEN conferences and exhibitions held internationally," he says.